I’m constantly snacking. I mean seriously, between school, blogging, and trekking around the city non-stop – I rely on my snacks as fuel for life. However, I don’t always snack healthily. In fact, my favorite snack is chips – which if you’ve ever turned the bag over and glanced at the nutritional facts know it’s far from being a healthy snack. Then I tried popchips, and everything changed. Well, not everything – but definitely my snacking habit. All natural, with no cholesterol, trans fat, fake flavors, or colors, popchips is the healthier chip alternative. Simply put- I LOVE popchips. I don’t feel as guilty eating them as I do when munching my former favorite chip brand. Plus they have such light crispy crunch that really does it for me, and the flavors are great! What I’m really excited about right now is popchips new line of tortilla chips! Starting with stoneground masa- the whole grain corn used to make traditional tortillas (we use masa allll the time in my house! ), add a little heat, some pressure, and POP! Then the chips are topped off with (natural) yummy seasonings- speaking of which, popchips tortilla chips come in four flavors: nacho cheese, ranch, salsa, and chili limon. 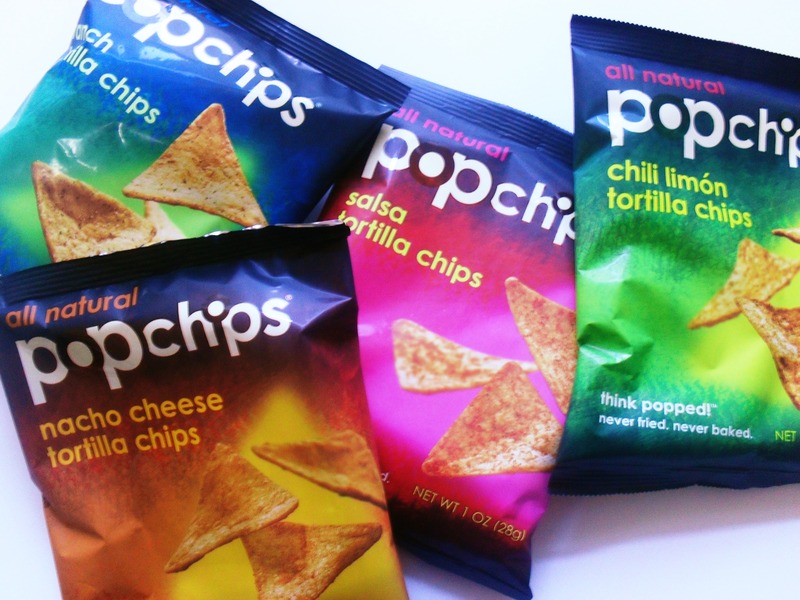 I was lucky enough to try the whole popchips tortilla line- and they are seriously delicious! They’re all so good – my favorite was the chili limon, with the salsa following as a close second. I love having new and flavorful (and healthier) snack options, especially with the holidays approaching. The holidays means being with friends and family- and for me that means snacking a lot (my family and friends are all serious foodies) – so it’s nice to know I won’t have to carbo-load in order to have and share a yummy snack with the people that I love. Never fried (unhealthy) and never baked (blech- totally gross), popchips are officially my favorite chips! At the risk of sounding like a cheesy commercial I’d say when you’re snacking this Halloween, at the office, in school, waiting for the Thanksgiving Turkey to finally be done cooking, or even elbowing somebody in the face while in line for an insane Black Friday deal (just kidding, no elbowing people! That’s totally unclassy!) 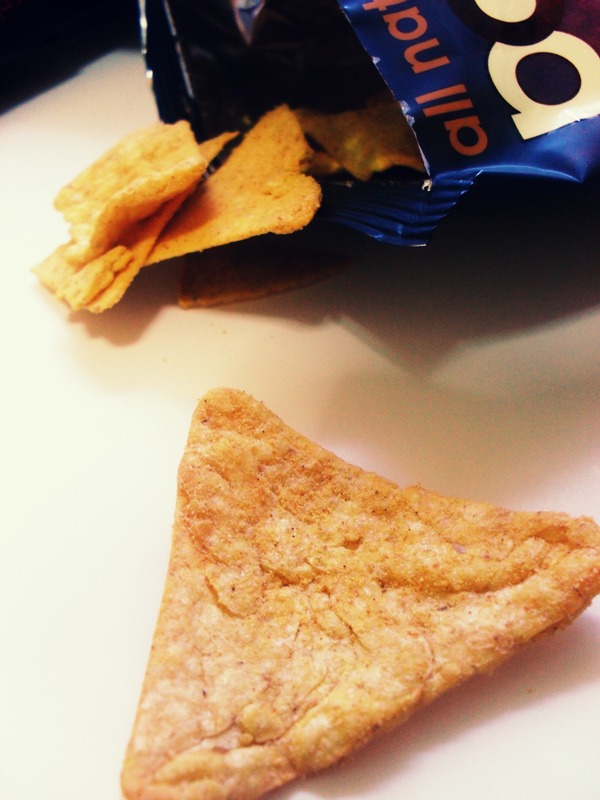 definitely reach for some popchips – your waistline will thank you and so will your taste buds! Have you tried popchips before? If you have, what’s your favorite flavor? Have you had a chance to try their new tortilla line??? What flavor has you most excited??? Let me know in the comments section below!!! * Disclosure: I received popchips products for review purposes only. No other compensation was provided. All opinions belong to The NYC Talon, and are not influenced in any way (for more info, please check out my pr page). Love love love the nails soo cool will be great for my costume party! I hope I win! Man those sound good! I wish I had a bag here at home! Thank you. They really are SO yummy, I’m when you do (try them), you’ll love ’em!